Fall is just minutes away and I cannot wait to start seeing more rich, dark colors on the streets! I love Fall particularly because you can wear so much black, dark navy, and use pops of colors creating gorgeous and fun outfits all season long! Items like the Mischen BOW PIN which literally you can incorporate into every outfit. 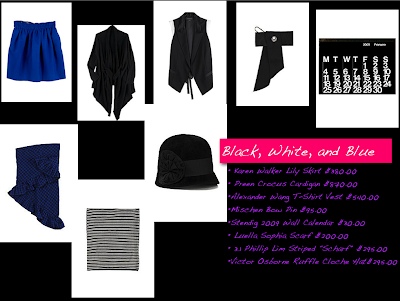 Here are some of my favorite black, navy, and white items from La Garçonne that every fashion forward girl should have. **** As always right click and open in new window for bigger pictures!